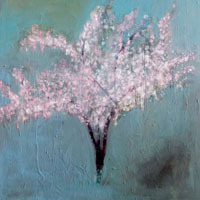 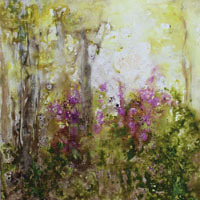 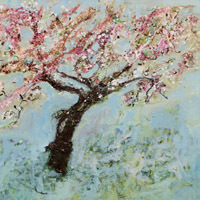 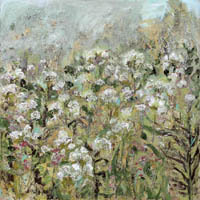 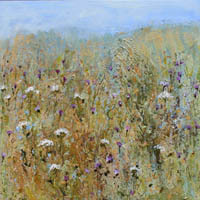 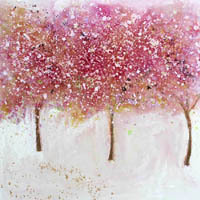 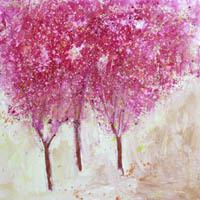 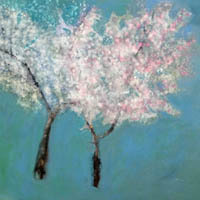 Sally Stafford's work is exhibited throughout the UK and she enjoys an annual residency in Portugal. 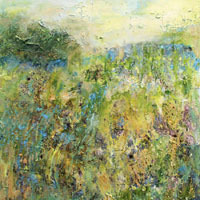 Working on the floor, Sally believes �You have a dance with the canvas, because the floor releases you to work on the painting from any direction. 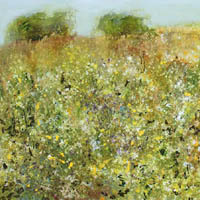 I don�t feel like I�m painting the meadow. 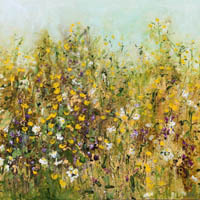 I feel like I�m growing a meadow.� The outcome is an enriching, visually dynamic experience. 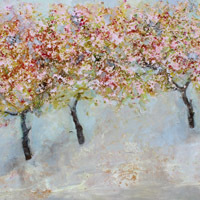 Travel has always been integral to the Oldham-born artist�s life and work, from months spent in Dorset and Devon � where she catches the earliest signs of English spring � to her annual June in Portugal, to longer-haul destinations like Australia, Indonesia and Papua New Guinea. 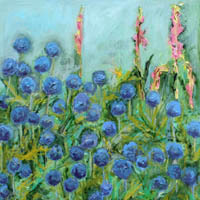 The places she loves away from her home still continue to permeate the paintings she produces. 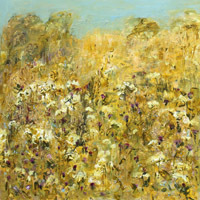 "My paintings invite the viewer to enter a world of memory, mythology, imagination and feelings. 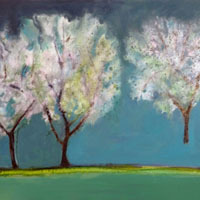 Connecting with the natural world through quiet observation and reflection then recreating that moment on canvas is a challenge that engages me emotionally and physically. 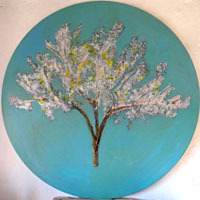 The colours and textures in my work develop through application of multiple layers using paint, ink, wax, pigment and metal leaf. 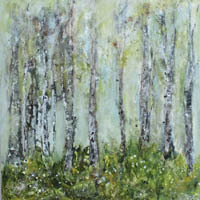 The resulting painting often has a stillness and calm at its heart."